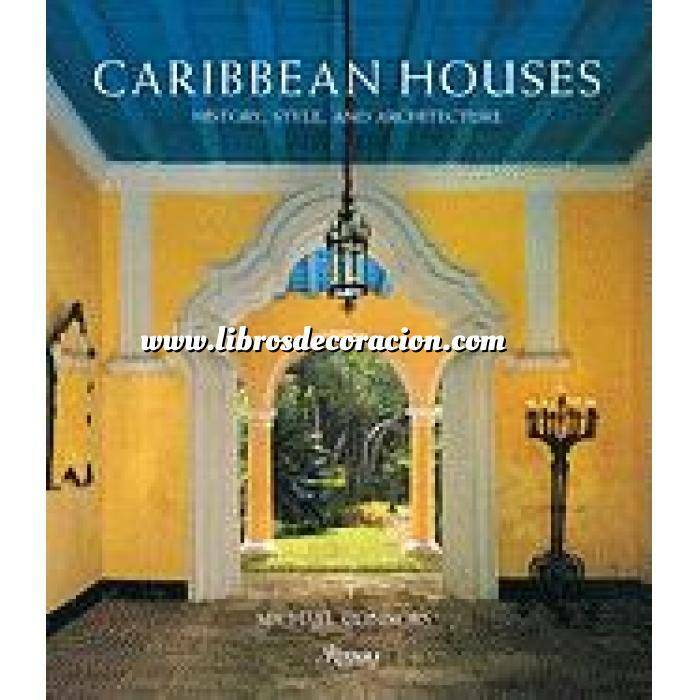 Caribbean Houses is a lavishly illustrated account of the development of historically significant houses in the West Indies. Author Michael Connors, a West Indian decorative arts scholar, examines venerable houses that remain as a testimony to the rich history and vibrant lifestyle that was, and continues to be, an important part of Caribbean culture. The book is divided into five chapters, one for each European heritage: the Spanish Antilles, the Dutch Leewards, the English Islands, the French Lesser Antilles, and the Danish Virgin Islands. An authoritative text sheds light on the area’s rich architectural and interior design history and gives the reader a unique view of houses that combine the tradition of European styles with the vernacular island forms and decorative motifs. The lavish new photography captures the stunning exteriors and provides a rare look into the interiors of these historic houses, with exotic tropical hardwoods, indigenous stone, and a blending of local crafts and handiwork with antiques and contemporary furnishings. With the disappearance of so much of the Caribbean’s historic domestic architecture, the colonial residences that still exist represent an important historical record of the Caribbean’s material culture. About the Author Michael Connors is a contributor to numerous trade journals, including Art & Antiques and The Magazine Antiques, and he has written many books, including Caribbean Elegance, French Island Elegance, and Cuban Elegance. He lives in New York City, St. Croix, and Deer Isle, Maine. Caribbean Houses is a lavishly illustrated account of the development of historically significant houses in the West Indies. Author Michael Connors, a West Indian decorative arts scholar, examines venerable houses that remain as a testimony to the rich history and vibrant lifestyle that was, and continues to be, an important part of Caribbean culture. The book is divided into five chapters, one for each European heritage: the Spanish Antilles, the Dutch Leewards, the English Islands, the French Lesser Antilles, and the Danish Virgin Islands. An authoritative text sheds light on the area’s rich architectural and interior design history and gives the reader a unique view of houses that combine the tradition of European styles with the vernacular island forms and decorative motifs. The lavish new photography captures the stunning exteriors and provides a rare look into the interiors of these historic houses, with exotic tropical hardwoods, indigenous stone, and a blending of local crafts and handiwork with antiques and contemporary furnishings. With the disappearance of so much of the Caribbean’s historic domestic architecture, the colonial residences that still exist represent an important historical record of the Caribbean’s material culture. Michael Connors is a contributor to numerous trade journals, including Art & Antiques and The Magazine Antiques, and he has written many books, including Caribbean Elegance, French Island Elegance, and Cuban Elegance. He lives in New York City, St. Croix, and Deer Isle, Maine.